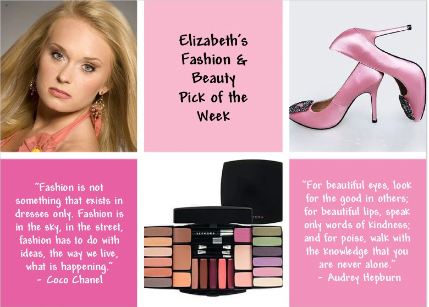 Last week I decided that I would start a "pick of the week" post of my favorite fashion and beauty products. 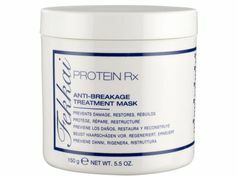 The topic of the week last week was Fekkai Protein Rx Anti-Breakage Mask which is my top pick for hair care! This week, I would like to share my top pick for skin care (next week, I'll try a fashion pick post). And I must offer a warning - this might surprise you! 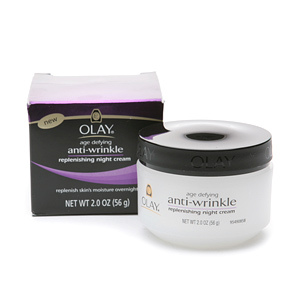 Olay Age Defying, Anti-Wrinkle, Replenishing Night Cream. Ha! I know, I know...I am only twenty-three. So why is my top skin care pick an "age-defying" product? Well, my grandmother, a former pageant winner in (get this) 1940, just celebrated her 91st birthday this week. She is one of the most fashionable older women you could ever meet and she still doesn't look anywhere near her age. She was in her late sixties when I was born and I don't remember her having any wrinkles (aside from smile lines and a few fine lines around her eyes) until I was in at least middle school. Her secret? She's been using Olay night cream for at least three decades. Maybe its just good genes...but just in case, you might want to pick some up today. I wash my face with CereVe cleanser, which my dermatologist recommends, every night. I use an oil free make-up remover (mine is Mary Kay) to make sure all traces of my make-up are gone. Then, I apply a cream to ward off any potential break-outs and finally finish up with the Olay night cream. It is deeply moisturizing without feeling heavy. This is such a simple (and inexpensive at around $12) beauty tip and it really never is too early to protect your skin for the future. Plus it makes my skin so very soft! My dermatologist offers this warning each visit (although it is primarily targeted at keeping me out of the tanning salon): we all have firm, beautiful skin in our 20's but its how we treat that beautiful skin during our 20's that determines what we'll look like in our 40's. 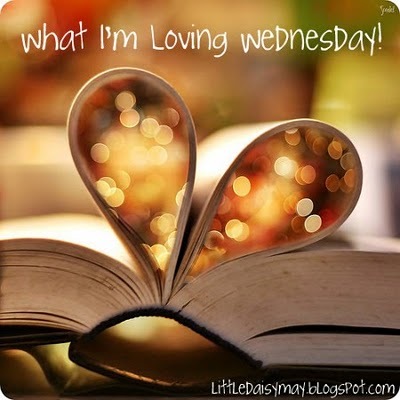 I'm linking up with Jamie again for another What I'm Loving Wednesday! I really want to run right over to the Kate Spade store this afternoon and bring one home. 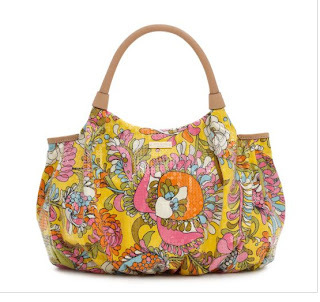 I bought a gorgeous Kate Spade bag this winter on sale. I'd been eyeing it for months and found it mid-winter for $200 less than its original price at the beginning of the season. So the question of the day: To buy this bag full price and have it for spring and summer or to wait for the bag to go on sale and have it for a little bit of the summer and next year?? I am loving that I have been asked to judge a charity pageant this coming weekend supporting Relay for Life and the American Cancer Society. ACS is one of the organizations that I have heavily supported during my years of pageant competition (and will absolutely continue to support) so it is very dear to me. This is a cause that is especially close to my heart this year as my aunt and my mom's youngest sister continues to battle cancer. I am so excited to see some friends from the pageant circuit. I am winding down my last year as a title holder and preparing to be officially retired from competition so this will be a very fun event for me. Just for fun - here's a photo of me with some pageant friends at America's National Miss. Most of all today, I am seriously loving my sweet boyfriend. 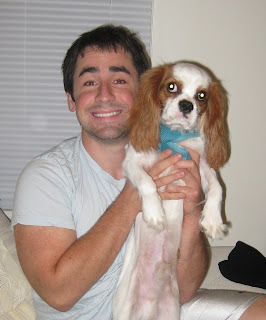 He has been so incredibly supportive of me lately while I have been super stressed with finishing my master's, my job hunt, and the pressure of relocating. I have quite a few items on my Spring wish list right now. Unfortunately, I will be moving soon and need to be saving some money for those expenses and I cannot buy everything on my wish list. 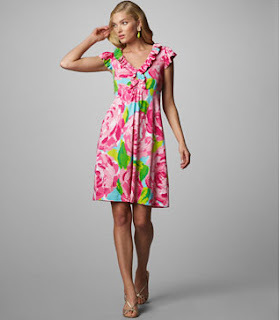 I'm currently eyeing a couple of Lilly Pulitzer dresses and I really feel like I have to buy one of them! I mean...I do need a new Easter dress. Right? Well here are my picks, however I just don't know which one to get! I just love the simplicity of this dress. I love that it looks cute and fun without being too much. I feel like I could wear this dress for years. My only hesitation is that I have so many strapless sundresses and quite a few of them are Lilly. (Of course, it would be perfect for bridal showers and luncheons somewhere down the road). What I really love about this dress is it is cute and springy but I can wear it so many places. I love that it is a shift dress but not too stuffy. I could totally see myself wearing it to a yummy dinner with my sweet boyfriend. I love this cute one-shoulder dress. I love the bright colors. I love the bow at the shoulder. Yet it is slightly more formal than my first two picks. I'm not sure that this would be my Easter dress pick but I do love it. Its the same print as my number 3 pick but the style is so everyday appropriate. I could really see myself getting my money's worth out of this dress. I could even wear it to work! Honestly, I just love them all. Could I possibly get more than one?!?! I'm not sure how my credit card would feel about that especially since I'm also lusting over a Kate Spade bag right now. Basically, I've come to the conclusion that I need to switch to a profession where I make more money. Opinions? Which dress is your favorite? Also, what Lilly items are on your spring wish list? Today I am linking up with Carissa to try out Miscellany Monday. I really enjoyed WILW last week and am excited to find another fun link-up. The weekends go by entirely too fast. I have been out of town quite a bit lately so I had to catch up on some of my master's assignments. Then, all of a sudden, my assignments are finished but the weekend is over! And I didn't get to do any of the fun things I wanted. I am so ready for spring to really set in. The weather has been so nice lately but it was cold and rainy all weekend. It monsooned yesterday which means that I was outside battling with Riley (in his yellow puppy raincoat), who was adamantly refusing to go potty because of the rain. 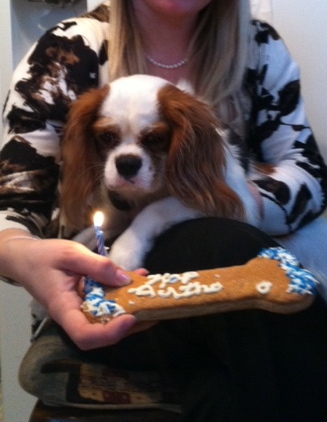 As I was writing number 2, I was wishing I had a picture of Riley in his cute new raincoat. He is so precious. 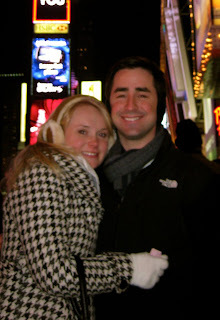 Unfortunately, my camera had some type of mysterious mishap in Atlantic City on New Years Eve. It was working, then I put it in my cute sparkly clutch, and when I took it out the lens was extended and the camera was most definitely not functioning. The infamous Cannon fatal lens error message was displayed. I picked out a new Sony in January after much debate, then received an email the day before it was scheduled to ship saying it was back ordered due to "manufacturing constraints"....until mid-April. 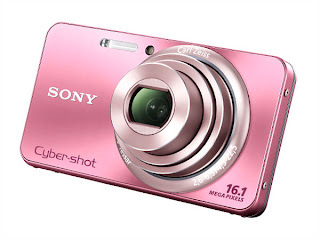 It took me three weeks of endless searching before I would commit to choosing a new camera so I'm sticking put and waiting impatiently until it finally arrives. Because this winter was incredibly cold and harsh, I find myself embracing Spring even more than usual, especially spring clothes and accessories. I currently have a spring wish list valued at about four times the amount of the measly paycheck I received Friday. Does anyone else have an extravagant Spring wish list? What are some of the items on it? 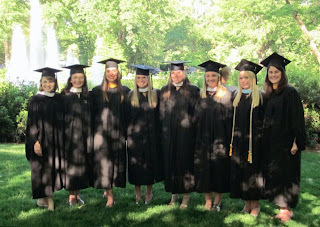 In class last week, some of the ladies (all the other education grad students are ladies) were debating whether they should walk at graduation. Many think it is just not as important as undergrad. My undergrad graduation was long and boring yet I do think it is an honor to complete a master's in fourteen months. Anyone have an opinion on this? Yesterday, in my mere 20 minutes of spare time between work and night class, I made a quick stop into Ulta. I really do love that place. Currently, I am finding myself lusting over both a new Lilly Pulitzer dress and the most perfect Kate Spade bag I have ever laid my eyes upon. These events have inspired me to start a weekly posting of my favorite fashion and beauty products. It may not always be on Fridays though because usually those are ridiculously busy, but I'm going to give it a try today. 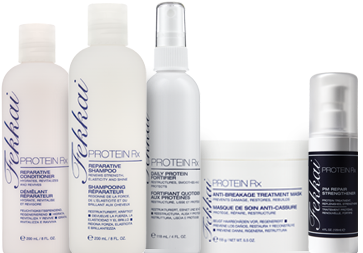 This is really a 3-in-1 pick because I love the Fekkai Protein Rx Reparative Shampoo and Conditioner too! This is the time of the year where we are all prone to some hair 911's! Being out in the sun, going to tanning salons, and using straighteners and other heat styling products can really damage your hair! Not to mention, if you use an elastic to pull your hair back for a run or a trip to the gym, it can cause breakage. 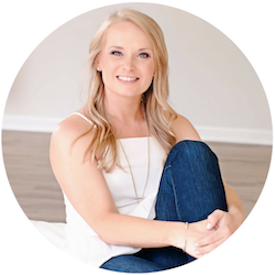 I am a former pageant girl, and the constant curling, teasing, and hair styling really did a number on my fine, blonde hair. To help improve the health of my hair, I tried Fekkai Protein Rx Reparative Shampoo and Conditioner. Then, twice a week, I use the Protein Rx Reparative Mask. The mask really is the essential step to soft, strong, and healthy locks. This is a product I simply CANNOT live without. I do switch shampoos and conditioners sometimes but I always use the mask! When I stopped at Ulta yesterday to restock, I knew I had to share how wonderful it is with you. Don't let the price (around $25) deter you - a jar of this will last 4-8 months depending on how often you use it. Added bonus: It smells great! Flying is just not as easy as it used to be. My interview yesterday went so well and I have been invited to come back for a third and final interview with the board of directors some time in the next two weeks. Yay! My flight yesterday evening was delayed, then delayed some more, then finally cancelled! We missed our wheels-up while our plane was waiting to be de-iced (it snowed in New Jersey by the way) then we were not able to fly into Charlotte because a severe thunderstorm there was making it impossible for planes to land. Then, (after a two hour delay on the runway and one more hour sitting back at the gate) our crew timed-out and we were not able to get another flight crew in time to get out last night. My boyfriend, Corey, rescued me from spending the night in the airport and I flew out on the very first flight this morning! I've spent my day working and my evening in class so I am just now getting home and am exhausted!! I am calling it an early night tonight and headed straight to bed. Snowy New Jersey morning before my interview yesterday. Also, for those of you who asked, I ordered the super cute polka dot phone case from Posy Lane. They have a number of different designs. You can also find the full line here. Today I am linking up with Jamie to try out What I'm Loving Wednesday. I'm loving that I got to spend some time with my boyfriend last night and this morning. We're long distance while I am finishing up my master's degree and I flew up to spend almost a week with him during my spring break two weeks ago. Usually, we only see each other about every three weeks. BUT...since I was asked to come for a follow-up interview today, we got an extra visit in. I'm loving that I had the opportunity to come back for a follow-up interview here in New Jersey. In this economy jobs are so hard to find so I feel very fortunate that I'm even able to get an interview at all and even more so that this one is at a school I think I would be very happy working at. Please cross your fingers for me! I'm loving the weather in South Carolina right now. Its cold in New Jersey but the rest of the week back home will be high 60's and low 70's. Yay! I'm loving the new swimsuit I ordered from Victoria's Secret that arrived last week. I can't wait for spring weather to really settle in so I can wear it. 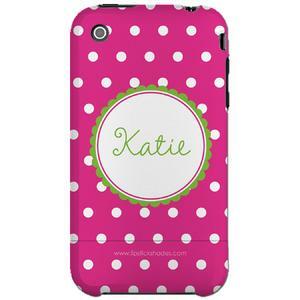 I'm loving the personalized with my name, pink polka dot case I ordered for my new iPhone 4. It looks like this but personalized with Elizabeth and is actually a shade lighter pink - which is a perfect match with my wallet! I'm a little obsessed with how cute it is. I'm loving that I'll be home to snuggle with my sweet puppy, Riley, tonight. I've been traveling so much lately that I haven't had enough quality time with my furbaby - who happens to be the sweetest dog in the entire world! I have to say one of the things I dislike most about adulthood is job hunting. I graduated last spring with my undergrad in elementary education and have been working as a long term sub for several teachers who were out on medical and maternity leaves (currently and for the remainder of the school year - first grade!) while I am pursuing my master's degree. I am finishing up my master's this summer and will graduate in August...just in time to start work in my own classroom. However, teaching jobs all across the country are scarce and finding a job has become a (second) full-time job. The wonderful news is that I have had several interviews. While I am originally from South Carolina and have spent the majority of my life here, this is not where I have concentrated my job search. Several months ago, my boyfriend, Corey, was offered his dream job in New Jersey and that is where I am currently job searching. Last week, I had an interview with a wonderful, private school in the area and they have graciously invited me back for a second interview and to spend a day shadowing a teacher in the grade level(s!) with openings. So off I go for a whirlwind of a trip to New Jersey - I'll barely be gone 24 hours! I'll return Wednesday night then back to work and class I'll go here in South Carolina on Thursday. Well...lately it seems that every time I log on facebook, which is currently pretty much the only thing I do online aside from shop and homework/work related things, one of my friends has a status update informing me that they have updated their blog. This has become quite frequent lately so I feel like I must be missing something by not participating in the Blogger world. After all, it does seem like a wonderful way to chronicle all the exciting changes that are happening in my life right now.